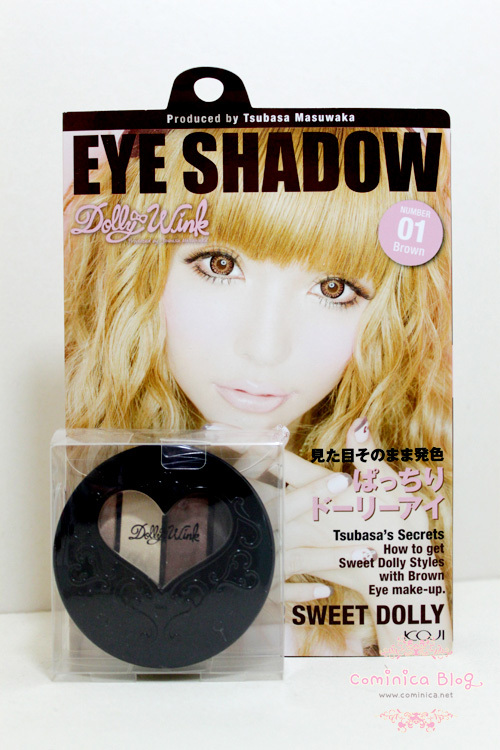 Now, finally I can try Dolly Wink eyeshadow in number 01. I love all the Gold-Brown colors on this palette. And I'm happy to tell you all, now I'm an official blogger for Kay Collection Indonesia and this product is sent to me for a review purpose. 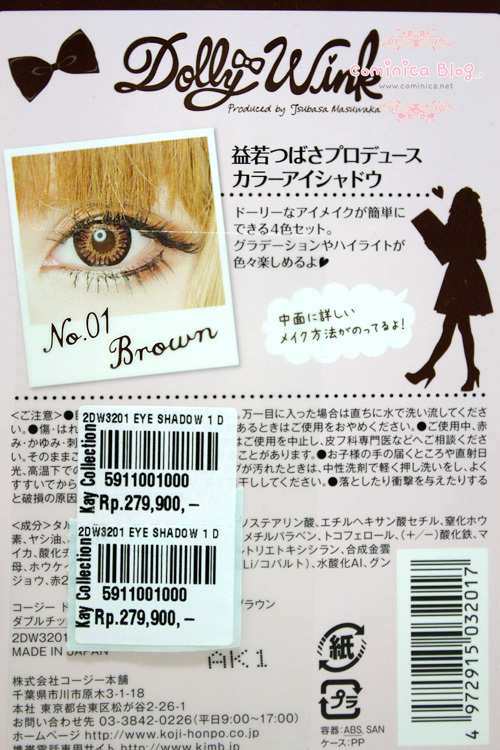 Kay Collection is an official store in Indonesia that sells Japanese beauty product, like Koji, Dolly Wink, Credo, Decorative false lashes, Masami Shouko and others brand. You won't get fake Dolly Wink if you buy from their store, lol. The packaging is okay, not too big and not to small. I love the round shape of this palette. The compact is made from a thin plastic but not look cheap. 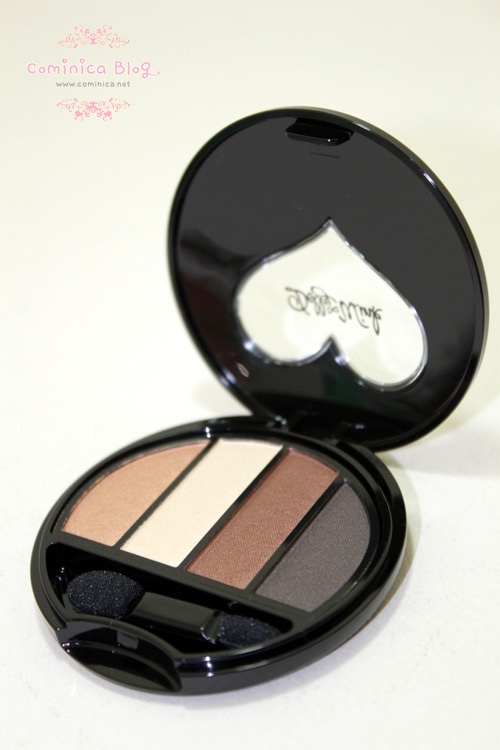 The love shape on the center compact is super cute~! The applicator is just plain, I was hope they make a different cute applicator though with better quality. Hahahaha. Despite of that, the texture is so SMOOTH and SILKY. I love how pigmented they are in just 1 swipe. Without Flash, The lightest color is pigmented too, unlike some palette. I'm happy because Dolly wink never disappointed me. From the packaging to the quality, this eyeshadow is worth for a collection. Beside that, all the colors are really wearable for everyday make up and for everyone who love gyaru eye make up. Price : 279.900 at Kay Collection Store. I know it's pricey TT____TT, but I can use it for a long long time~ Beside that, all their product is Ready Stock and original from Japan. You don't need to wait too long to get what you want. (＾▽＾)❤ And sometimes they can give you a bonus too ❤. You can get All Dolly Wink product at Kay Collection Indonesia. You can find their store at Pacific Place B1 #10A, Gandaria City LG #15, Kuningan City Lt.3 #45. Don't forget to like their official page HERE and HERE. Follow their twitter too "HERE" so you can receive the recent information and on going promotion. Ah! Talking about promotion, Dolly wink is on a promotion at Debenhams Senayan City on the cashier counter! 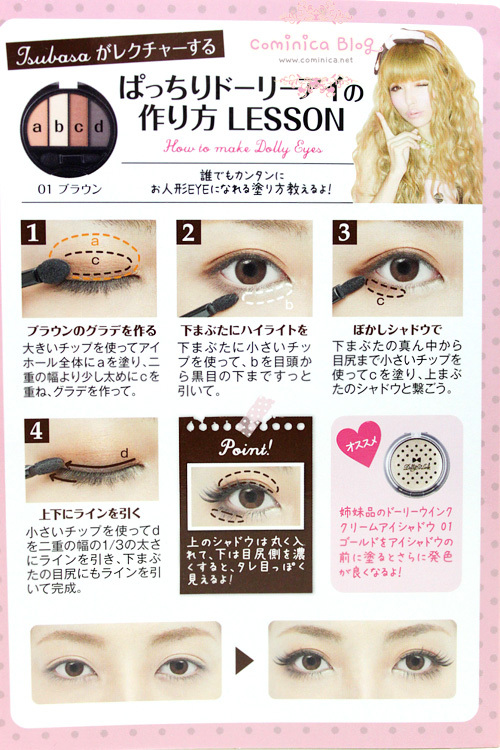 Dolly Wink false lashes 1-6 is only for 149.000 idr! What a deal! Also if I payed that much and it was like all the other eyeshadows you could get cheap it's a waste of money (￣。￣).. But now that I've seen/read this informative review I will definitly buy it (*^◡^*)! cute shadows! thank u for the review and congraz on becoming official blogger for kay.. happy for ya! thanks for the review, interesting product and love your simple explanation! cece, itu.. matahari di seluruh indonesia kah? ?